We are a team of willing volunteers working to provide 2 arrangements in St.Thomas’ church every week. 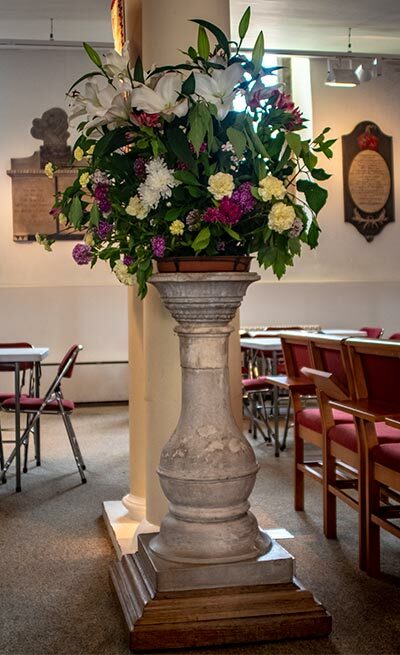 The choice of flowers is down to each arranger and the variety of styles provides an interesting and welcoming focal point on entering the church. The full team is usually involved for more complex arrangements for the church festivals. We also act as a sounding board for visitors, and for anyone else who feels the need to chat. As well as the weekly flowers, we also do arrangements for weddings, funerals and other special occasions.